While folks have been working steadily to develop Virtual Reality (VR) applications for our industry, Augmented Reality (AR) is showing great promise and a quicker potential for acceptance thanks to the pioneering efforts of millennials like Cody Nowak. When you can overlay what should be with what is, the comparison is immediate. Accuracy is visually displayed. Interferences are clearly identified. Potential design and construction errors can be averted and rectified before they become problems. Take a look at what Cody is doing to speed project delivery. I guess AR headsets will become part of every builder’s tool chest in the near future! Is AR Ready for Construction? Is Construction Ready for AR? 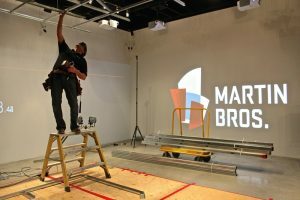 Cody Nowak, director of R&D at Martin Bros, is a pioneer in using AR for construction. Here, he explains why the tech isn’t quite ready for prime time. 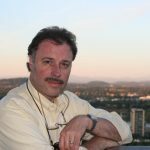 George Borkovich, an architect by training, is a Principal of AEC Science & Technology, a Chadds Ford, PA event management firm specializing in meetings for design and construction professionals. Partnering with Portland, ME based Diversified Communications, they will produce the AEC-ST conferences and exhibitions.